New from Bowers & Wilkins is the 700 Series speaker range. 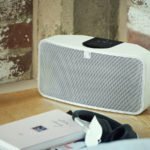 Bowers & Wilkins are world renowned for their loudspeaker and monitor designs, consistently setting industry standards for over 50 years. 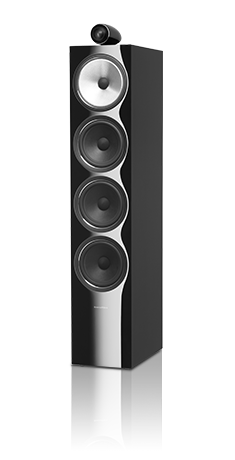 The B&W 700 Series supersedes the CM Series and includes nine speakers in the product line (three stand-mounted, three floorstanding, two center speakers, and a subwoofer). The 700 Series combines brand new technology with all the best tech from of the well-received 800 Series. For an in-depth review read the WhatHiFi? review. The new carbon dome tweeter design is designed to deliver cleaner, sweeter high frequencies than the Aluminum Double Dome tweeter of the CM Series. 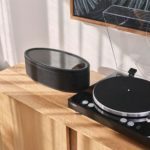 B&W calls it their best-performing ‘non-diamond’ tweeter they ever produced. Adopted from the 800 Series, the B&W proprietary Continuum midrange driver delivers the cleanest and most transparent midrange cone design yet. Models that include bass drivers were tweaked with enhanced Aerofoil-Profile technology. First used in the 800 Series, the new version employs a paper, rather than a carbon fiber, skin and has different material as the filling in the ‘sandwich,’ for improved stiffness and rigidity. 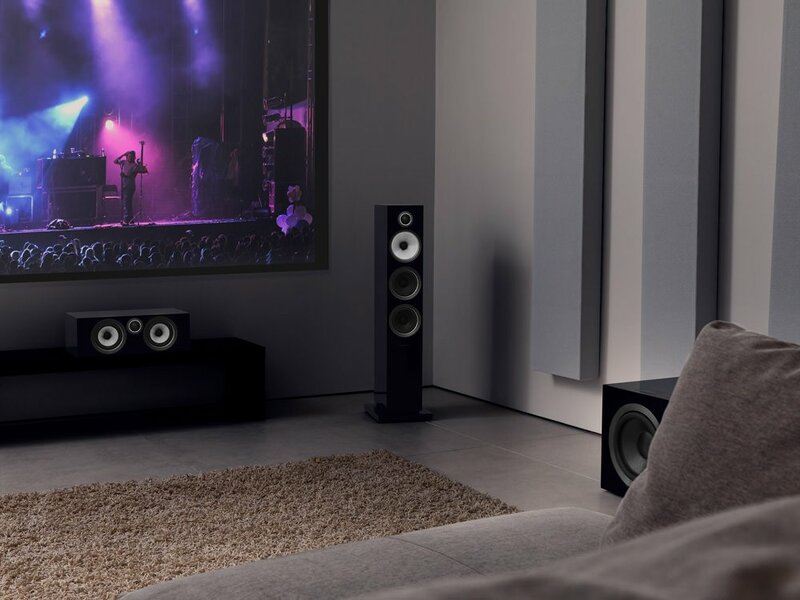 With two center channels to choose from, the 700 Series performs brilliantly in any home cinema set-up. 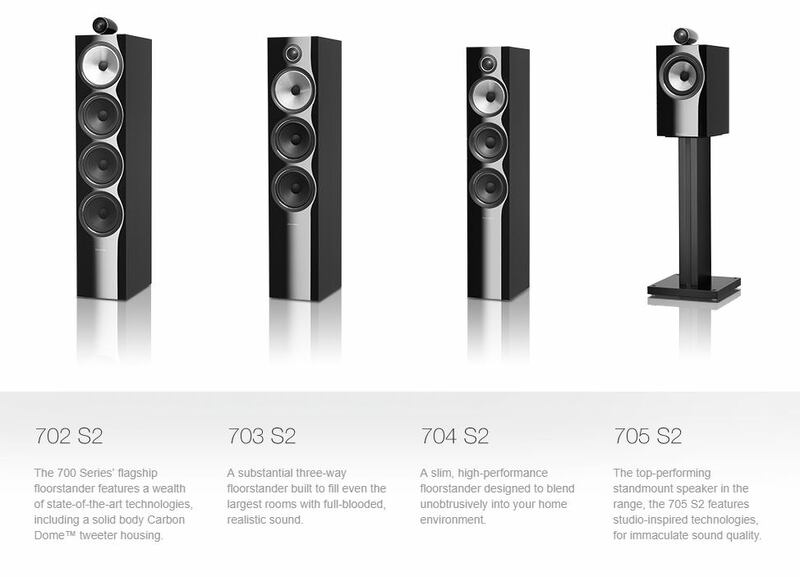 Top of the range for the 700 Series is the 702 S2. With three dedicated Aerofoil-Profile bass drivers and a solid body tweeter housing on top, the 702 S2 brings the goosebump-inducing clarity and detail of studio-quality sound to your home audio set-up. Visit our Olympia showroom to audion the B&W 702 S2.